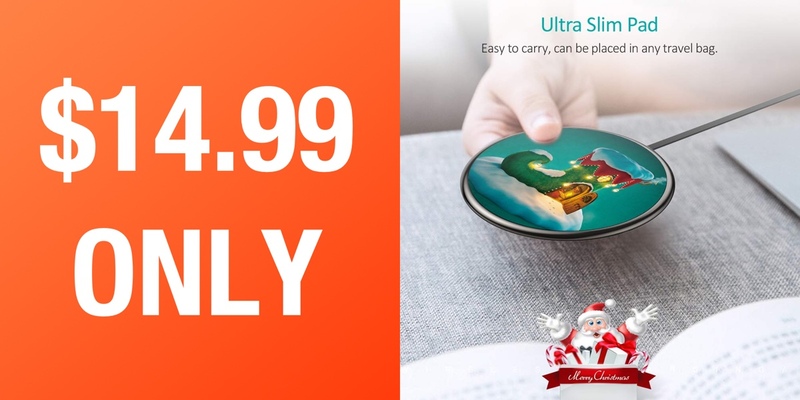 This ultra-slim and highly portable zinc alloy wireless charger is on offer right now and can be yours for just $14.99. With a 5-star review on Amazon, this hardware is going to take care of all of your Qi wireless charging needs. It’s not surprising that a growing number of companies are taking the opportunity to design and manufacturer Qi-compatible devices such as this gorgeous lightweight charging pad. With the release of iPhone 8, iPhone 8 Plus, and iPhone X in the final quarter of 2017, Apple managed to put the Qi standard on the map and ensure that products which conform to the standard have been thrust into the public limelight. This gorgeous Choetech offering is one of those products and it can now be in your possession for just $14.99. So, what exactly are you going to get for that $14.99 outlay? The first thing that you will notice is that this is actually a seasonal offering which comes with a unique Christmas design on the top of the pad. The hardware also offers as much power and variation as possible to owners with three charging modes. It offers standard charging at 5W, 7.5W for iPhones, and 10W fast charging for those devices which are capable of supporting this speed. That includes devices such as Samsung Galaxy S9 and S9+ and will allow you to get power into your device much faster than you thought possible. 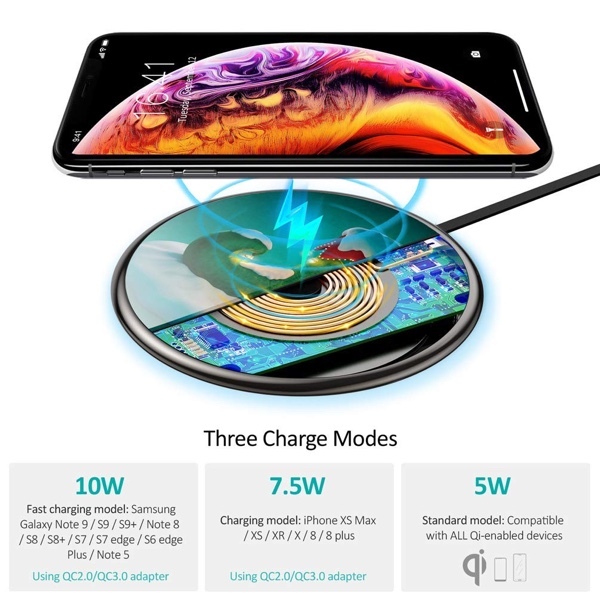 The hardware itself is also ultra slim and comes with an upgraded coil system internally that allows for the slim and lightweight build quality of the charging pad. It also comes with a toughened glass panel and comes with an independent large coil made of high-purity copper and a smart chip to maximize the charging potential and capability of the device. Like most good charging pads or stands, this Choetech offering is also case friendly and is capable of wirelessly charging a device even with a normal case on the device. All-in-all, this is an extremely good, highly affordable piece of kit that is available to you, right now, with a decent discount applied to it.